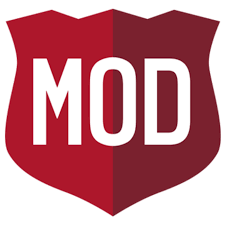 Mod Pizza is one of our favorite places to go on “No Cook Friday”. We love that we can chose from 30 feel-good ingredients, prepped fresh daily and ready to go. Mix it up. Be spontaneous. Meaty to vegan and everything in between. My favorite has Canadian Bacon, bacon, onion, mushrooms and roasted garlic! I do try to switch it up each time we go in. The prices are good too – Rex and I both get a pizza and a soda and it is around $20. We even normally have some left for lunch the next day. 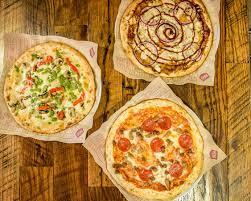 Next time you can’t decide where to go for your “No Cook Friday” or what ever day you want pizza check out Mod Pizza.